The 7th district is a gerrymandered district- find out why our district is cut up the way it is. And, find out why this is a problem for voters. Rep. Meehan's position on current issues - better understand the issues that he stands for and whether they are alligned with your values. Learn how he voted 87% of the time with issues Trump has supported. 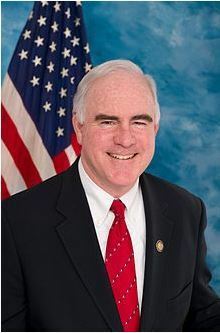 Contact Rep. Meehan - use the links below to express your views. Let him know what you think of how he is doing. * For security reasons, mail delivery to United States Capitol offices is very slow. It can take up to a month to be delivered. Send a fax for free - faster than a letter, more impact than email. Don't have time to write a fax? This link will take you to Rep. Meehan's email form.